Imagine being able to look at your monthly budget, find your highest spending categories and be able to earn cash back on the total amount. It would be free money just for following your budget. With the U.S. Bank Cash+™ Visa Signature® Card, the amount of cash back you earn is in your hands-literally. With most cards that offer tiered rewards, there are categories that rotate or remain the same -- but few, if any, allow the cardholder to choose said categories. The options with the U.S. Bank Cash+™ Visa Signature® Card include two categories of the cardmember's choice, which will earn 5% back, each up to $2000; one everyday category, also of the cardmember's choice that will earn 2% back unlimited; and a final category, which is all of their additional purchases, that will earn 1% back. Speaking of cold-hard cash, if you spend $500 on net eligible purchases in the first three months after opening your account, your wallet will be rewarded with $150. There are no categories required for that nice bonus! Did we mention access to and discounts on special events such as celebrity chef events, golf vacations, and Sonoma wine Country packages, to name a few? Winner of the 2017 CardRatings Editor's Choice Award for Best Rotating Cash-Back Rewards Card. Each quarter you choose two categories in which to earn 5 percent cash back on up to the first $2,000 you spend, meaning there's no reason you shouldn't maximize your rewards earning with this card. Enjoy 2 percent cash back in a non-rotating category of your choosing and 1 percent back on all your other purchases. If you don't remember to choose your 5 percent categories each quarter, you'll earn just 1 percent for that quarter, so this card is best for people who take a hands-on approach to their credit card reward. Do you spend a significant amount of money in the summer on back-to-school clothes and supplies? Does a large chunk of your budget get earmarked in the fall for holiday shopping? Is your vacation travel paid for and planned in the winter and spring? If you answered yes to any of these questions, you're the reason we love this card! Who wouldn't love being able to plan their own cash back categories and amounts? We also love the $150 cash bonus, the ability to pay securely online or with your phone, the $0 annual fee, and the no-minimum requirement to redeem rewards. Did we mention there are three ways to redeem your rewards? Cardmembers can redeem as a statement credit, a direct deposit to a U.S. Bank account, or for a rewards card. Everywhere you look, the U.S. Bank Cash+™ Visa Signature® Card cash-back card offers flexibility and possibility to its members -- and we love that! The U.S. Bank Cash+™ Visa Signature® Card, while perfect for some, won't be beneficial if you're not someone who plans their budget monthly and consistently. 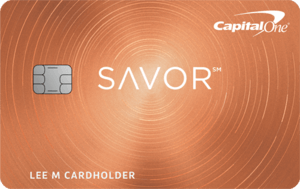 If you're someone who doesn't follow what they spend very closely, you won't maximize your cashback rewards with this card. Another potential downside is that cardholders need to remember to choose their categories on a quarterly basis. If you forget, all purchases automatically get put into the 1% back category. Unlike many credit cards, this one sets a 36-month expiration date on its rewards. The U.S. Bank Cash+™ Visa Signature® Card touts flexibility and possibility through its program that allows card members to choose their cash-back categories. Members choose two categories for a 5% return on up to $2,000 in eligible net purchases. A third category will yield an unlimited 2% cash back, with all other purchases earning 1% cash back. This system varies from the Citi® Double Cash Card - 18 month BT offer , which has no categories or cash-back ceilings, but offers only 2% cash back on all purchases -- 1% at purchase and 1% at the time of payment. Neither the Citi® Double Cash Card - 18 month BT offer, nor the U.S. Bank Cash+™ Visa Signature® Card has an annual fee. If you have the time and want to spend it planning your purchases, the U.S. Bank Cash+™ Visa Signature® Card is the way to go. If hassle-free is your game, and you're okay with a lower return rate, go with the Citi® Double Cash Card - 18 month BT offer. Both the U.S. Bank Cash+™ Visa Signature® Card and the Wells Fargo Cash Wise Visa® Card card offer a one-time, cash-back bonus if you spend a certain amount within the first three months of being a cardholder. U.S. Bank will give you $150 when you spend $500; Wells Fargo will give you a $200 statement credit when you spend $1,000. Unlike the U.S. Bank Cash+™ Visa Signature® Card, there are no categories to sign up for or activate with Wells Fargo in order to earn cash-back rewards. If you like to take your time deciding how to redeem your rewards, Wells Fargo is probably the best card for you. Its rewards have no expiration, whereas the U.S. Bank Cash+™ Visa Signature® Card rewards expire after 36 months. Neither card charges an annual fee. 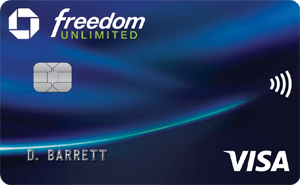 While the U.S. Bank Cash+™ Visa Signature® Card offers a similar rewards categories setup to the Chase Freedom, with similar cash-back percentages, there is a slight difference. Chase Freedom® offers rotating quarterly categories with 5% back. U.S. Bank Cash+™ Visa Signature® Card offers your choice of two rotating quarterly categories with 5% back, as well as one category of your choice at 2% back, and 1% back on all other purchases. With both cards, cardholders have to remember to activate these categories in order to earn the incentive. Another similarity is the lack of annual fee with either card. The decision here might come down to simple brand loyalty.With both cards, cardholders have to remember to activate these categories in order to earn the incentive. The best applicant for the the U.S. Bank Cash+™ Visa Signature® Card is a person who loves a good challenge with a great payout. If you can plan your expenditures by quarter, then adjust them to fit as much in one or two categories as possible, you're the perfect U.S. Bank Cash+™ Visa Signature® Card cardholder. You should also be very organized so you don't forget to plan properly or sign up for your quarterly categories. If that describes you, you should click apply and get this card.